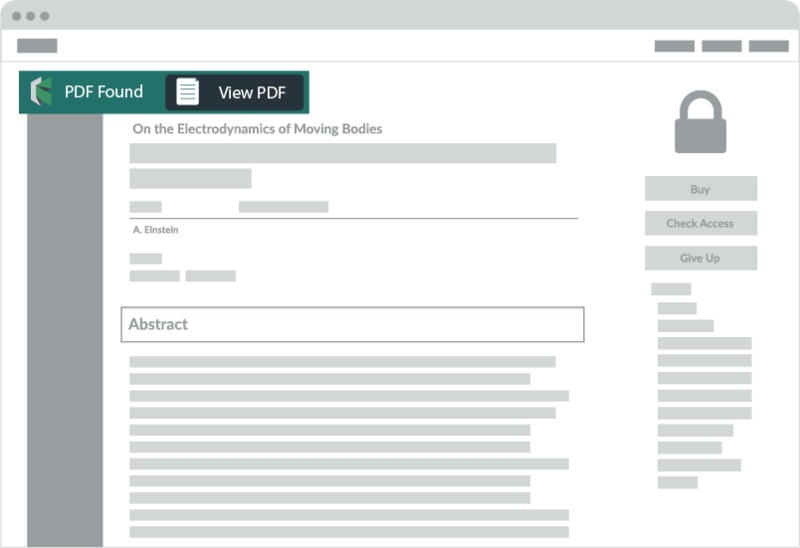 Kopernio is a free, easy-to-use browser plugin that helps you save time accessing full-text journal articles by bringing your institutional subscriptions as well as open access content into your workflow at your point of need. Kopernio works where you do, on campus, off-campus at home or when traveling to conferences. Our extension is integrated with over 20,000 academic websites including Web of Science, PubMed, and Google Scholar. Over 150,000 at top research institutions worldwide use Kopernio to turbocharge their literature searches. Now available on Chrome, Firefox, and Opera. You can show your support for Kopernio for Safari by upvoting this feature request here.